This may be the strangest museum I’ve ever seen. 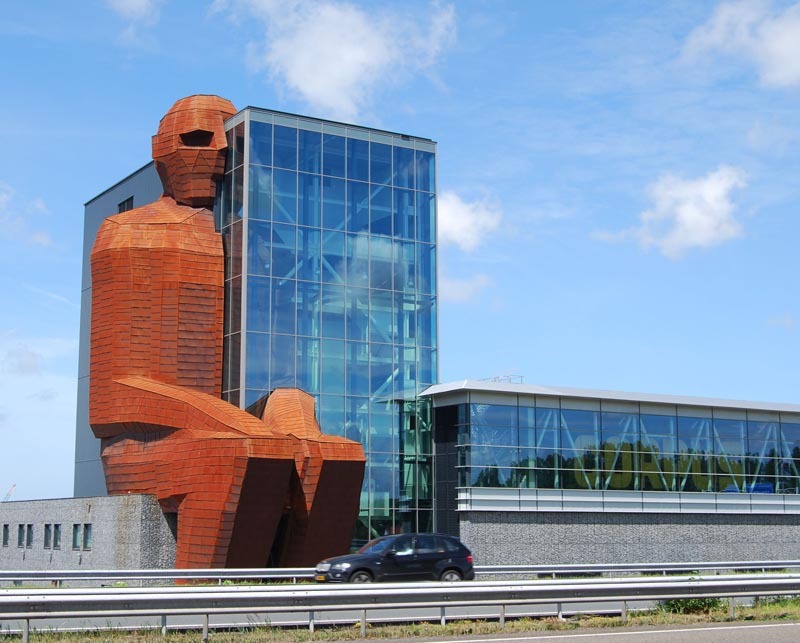 Looks more like something you would find in Las Vegas or Disney World rather than on the side of a highway 35km from Amsterdam. 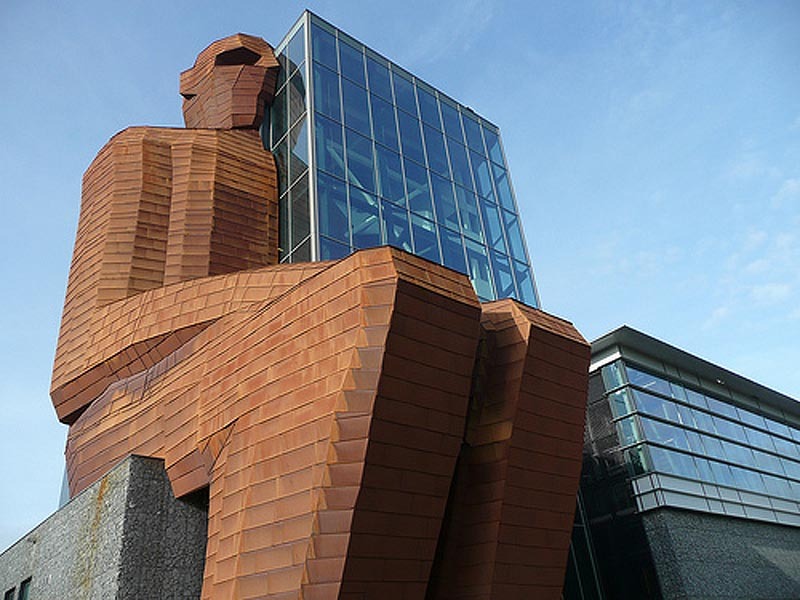 The Corpus Museum offers its guests an excursion through the human body during which they can see, feel, and hear how the body works. The building, designed by architect Wolbrand van der Vis of PBV Architecten, even has a 5D-heart theater where you, the audience, are a red blood cell. The journey begins at the knee and continues through the uterus (I guess it’s a woman then), the stomach, intestines, the mouth, and finally ending in the brain. Could be a case of too much information.